When winter is around the corner, we all start to look for a way to cope up with the damn cold. Other opt for puffy jackets, heavy socks or even gloves to keep the body warm. Well, what we all seem to forget are the portable ceramic heaters. These are simple to use, portable and lightweight appliances that will allow you to raise temperatures even when they have stooped to their lowest. Just like any other product, space heaters require some research, observation, and analysis in order to make the most out of your bucks. 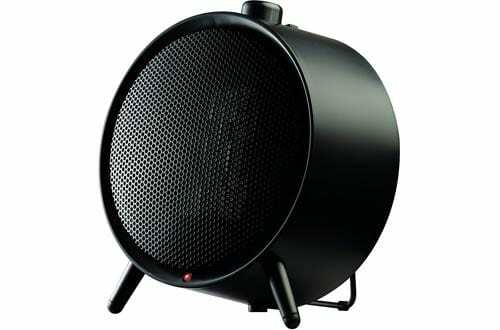 To cut the story short, we have compiled a comprehensive list of the best space heaters. They are durable, efficient in consuming power and above all employ exquisite heating mechanism. Try them on your tabletop, nightstand or desktop and enjoy the comfortable warmth. When the nights get damn cold, lifting the covers becomes a challenge for most individuals. 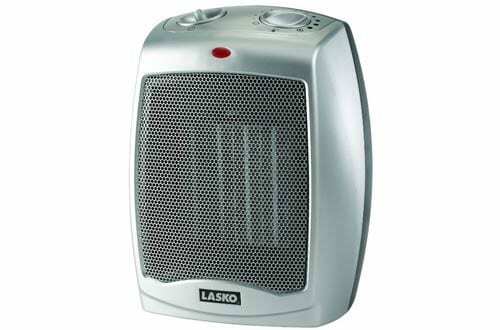 However, with a ceramic heater the likes of Lasko 754200 in your bedroom, things are much better. 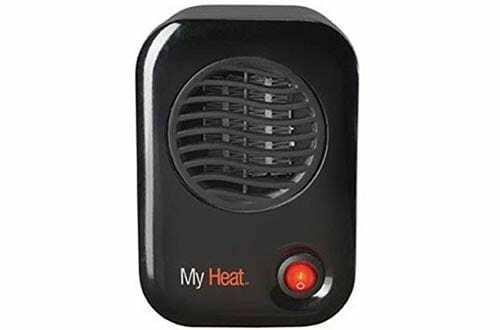 This heater is ETL listed and boasts of a 1500-watt high setting and the 900-watt setting. Plus, there is also a fan-only option. You will definitely appreciate the automatic overheat protection that keeps you safe. Ergonomic handles enhanced carry convenience. The thermostat featured in this unit is adjustable. This means you have full control over the heater. Personalize the machine to your own comfort. There are 3 quiet settings you can go with – high, low and fan only. Measuring 6 X 7 X 9.2 inch, this unit is small yet very effective in keeping you toasty warm. When the temperatures drop from the 20s to 10s, getting out of the bed when the falling nights get pretty cold seems the most difficult task for everyone. 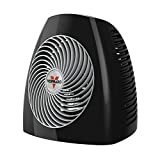 What you need to kick the cold out of your small or medium sized room is the Lasko 5307 oscillating tower heater. It is an incredible purchase designed to warm any space in your house. You can place it on the floor or use a table top. The ideal high, low and fan only settings lets you personalize everything to your own comfort. No need for a specialist as this is a plug-in machine that comes when it is fully assembled. Versatility is well incorporated in the machine. You can warm your feet, get direct heat or warm your small resting room. No worry if you have many kids around, this unit has inbuilt safety features. 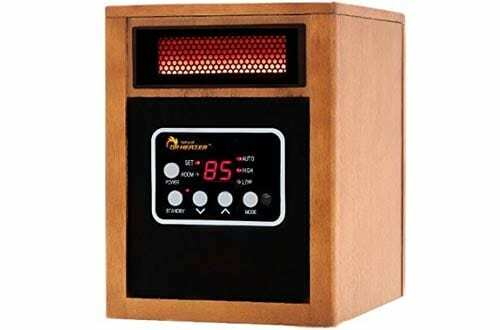 Dr Infrared Heater is one of the effects when the cold nights comes knocking during winter. It is an exclusive unit loaded with several robust features. Designed and engineered in the US means it tops the “best portable space heater” list. One prominent feature is the Dual Heating System that enhances even distribution of heat. Plus, there is also a High-Velocity Low Noise Blower that achieves a consistent heat transfer rate. The end result will always be a well-warmed room with the perfect temperatures. More amazing is the capability of the machine to balance between the low and high settings hence cutting down on your energy bills. You can achieve a temperature range of 50 to 86 degrees which is pretty awesome. Other incredible features of this space heater include 12hr automatic shut-off timer and the overheat protection. Overall, this is a great unit that uses the same wattage yet delivers powerful heat. 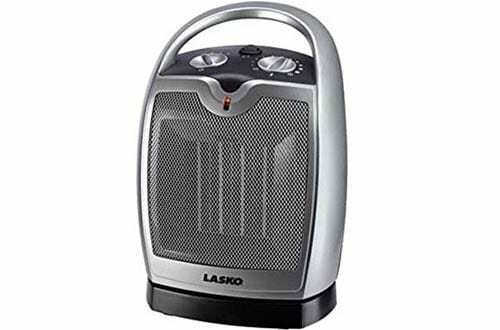 Rock your evenings and cold nights with the Lasko 5409 Oscillating tabletop heater. It is the ultimate fix when temperatures stoop too low. You will enjoy the safe heat and appreciate the way the cool touch settles so well in your bedroom or tabletop. Equipped with ceramic heat elements, expect nothing but the best. This unit churns 1500 watts of power and delivers 3 quiet settings. You can toggle between high, low heat or opt for the fan the only option. Even though some parts of this heater are made of plastic, it is a solid rock unit built to last. No more spending some bucks on installation, this unit comes fully assembled and ready to use. Additionally, it is listed by the ETL. 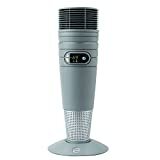 If you are tired with ordinary heaters that are only good at localized heat consider the Vornado MVH heater. Featuring Vortex technology, this heater is terrible at fully circulating heat throughout the whole room regardless of size. Whether you want it low or high, the thermostat controls allow choosing your desired settings. One amazing feature about this heater is the fact that one can strike a balance between heat output and power consumption. You won’t break the banks at the end of the month. Simply adjust the 750W, 1125W and the 1500W0 heat settings. The whisper-quiet operation is amazing. 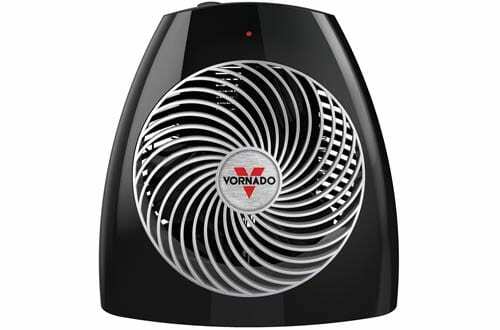 Other prominent features that the Vornado boasts of include the tip-over protection plus the automatic shut-off. This ensures a worry-free use. Additionally, this unit comes with a 5-year warranty. Honeywell HCE100 is the ultimate heat fix for all your personal space. Whether used at home, in the office or school, this portable and lightweight heater provide an energy efficient solution. Having one in your house means taking a step in the right direction. Caution lights keep you worry free when the unit is working while the tip-over protection guards the unit. Another bonus feature is the automatic shut-off that ensures a worry-free use. The cool touch housing matches any setting while the flame-resistant material gives this heater a solid feel. Toggle between the two 170W and 250W heat settings. Definitely, durability and comforting warmth are the end results. Compact and modern in design yet very powerful heater. 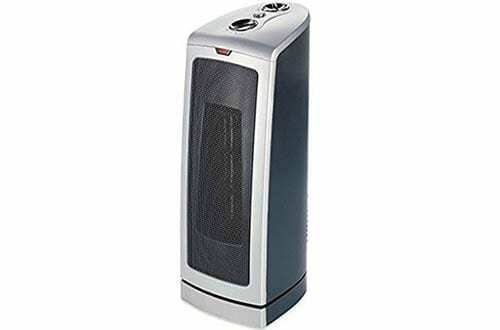 The Honeywell HCE200B Uberheat heater lets you maintain comfort level. The modern stylish design fits any room settings. If you happen to be looking for a unit that is ideal for tabletop, desktop or nightstand. Manoeuvre the 2 constant heat settings as you wish. A better part of the whole story is that this unit features an auto-off tip-over switch. Usage is worry-free whether you are a pro or a beginner. 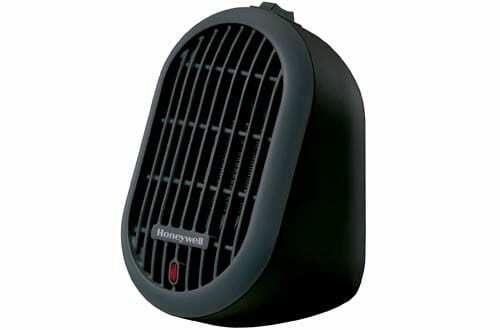 Grab the Honeywell HCE200B heater and kick the cold out of your room. 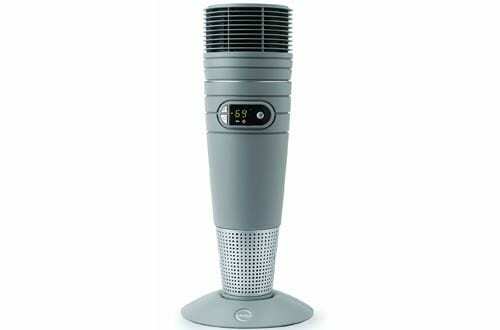 It is an incredible heater loaded with several robust features. 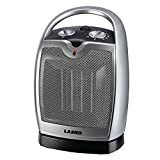 This is another great space heater from the Renowned Lasko Producers. 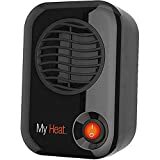 If you have no business warming the whole room and just need a machine that does a decent job in toasty warning a small personal space, this is the ideal choice. Self-regulating ceramic element technology gives this unit a leg up compared to its competitors. It is an energy-smart heater that only uses 200 watts. No single heater is economical like the Lasko #100. It warns you when you aren’t making the best out of your energy bills. Another bonus feature is that the unit comes fully assembled. 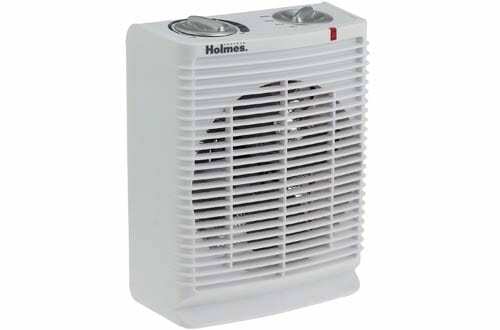 The Holmes Space Heater is a performance-oriented model that brings the ultimate comfort right into your personal space. Functionality and effectiveness are well reflected in this heater. Families can now surround themselves in warmth with everyone optimizing his or her environment. Featuring a high-end thermostat, this unit not only creates a cozy warm environment but also curb the amount you spend on heating. The ergonomic carry handle plus the lightweight design makes this model a must-carry. Using the heater is a breeze because of the manual controls and the adjustable thermostat. Several features are also incorporated into the heater to ensure you use your heater worry-free.